Today I visited Amazon to see the ratings for my book (which, by the way, fluctuate so wildly they’re not at all helpful). 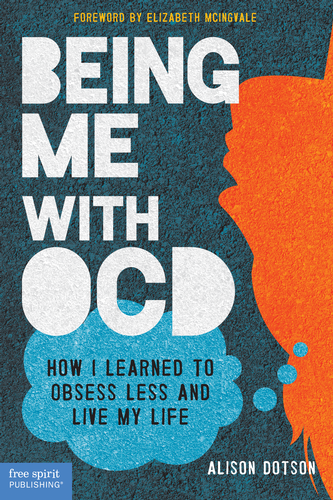 Instead of searching by the full title, I just typed “OCD” into the search box, and since I didn’t choose “Books” from the drop-down menu, I came across a surprising number of “OCD” products. Not useful materials for people who have OCD, but gadgets and gizmos for organized or picky people. There’s the OCD Pencil Cup with the words “store,” “stack,” and “file” on the sides, and the OCD Cutting Board complete with helpful measurements and “The OCD Chef” stamped on the front. There are more, but let’s not get into that. These product names upset me, and at times I feel overwhelmed by how much misinformation is out there about OCD. How can we ever reach people with the right information when the wrong information is on pencil cups and cutting boards, and when Buzzfeed publishes clever and green cleaning tips with the title “33 Meticulous Cleaning Tricks for the OCD Person Inside You” instead of one that, oh, I don’t know, accurately describes the article? And when people in comments sections shoot us down for pointing out inaccuracies, telling us to loosen up and be less sensitive? We keep pushing, that’s how. We keep living our lives as the awesome people we are, and everyone around us will start to learn more and more about what OCD really is. If you’re not “out” with your OCD diagnosis yet, that’s okay. You can still help spread accurate information by sharing articles on Facebook or recommending them to friends. No one has to know you have OCD (although you know how I feel about being open about it–it can be truly healing to expose demons to caring friends). 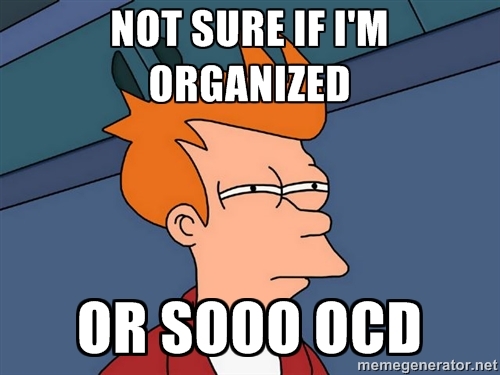 If you hear someone say, “I’m so OCD!” you can gently point out that OCD is no laughing matter. It can be frustrating to keep fighting misconceptions and stereotypes. At times it can feel like playing a game of Whac-a-Mole! (Huh, now I’m hungry for guacamole…) An insensitive joke pops up and we knock it down just to face another. But we can spread awareness–don’t give up.